Catherine Christy, a yoga instructor at State Street Yoga Co-op and a Massage Therapist at Cedar Valley Massage Therapy Specialists in Cedar Falls, will share the benefits of mindfulness and share techniques to increase your overall wellness through mind and body. Catherine is an ACE-certified Personal Trainer, Health Coach, and Group Fitness instructor with additional specialty training in behavior change, corrective exercise, fitness nutrition and more. 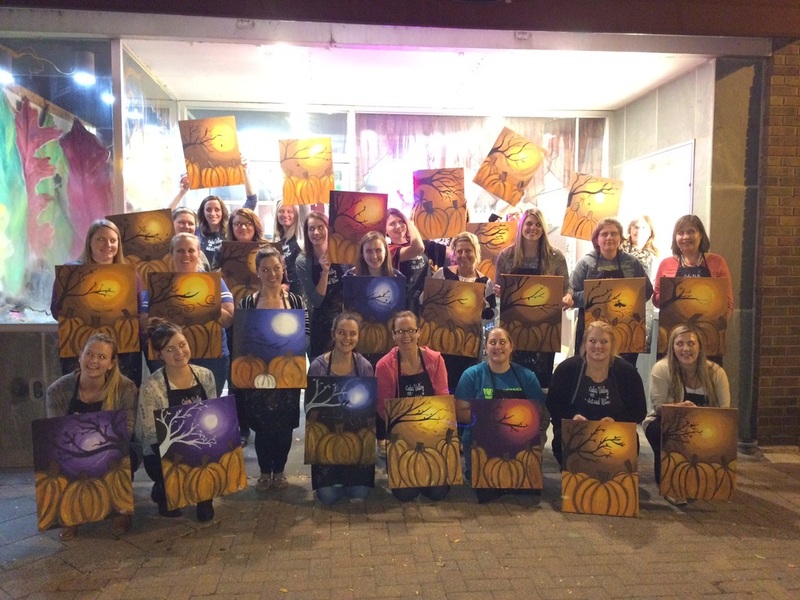 These ladies had a great time networking at last night's Art & Wine Event! It was great to get the creative juices flowing with a "Harvest Moon" painting and so fun to see how each painting was unique.